Andy recently appeared on Conan on TBS. This past summer he was the first comedian to make his network television debut on the Tonight Show: Staring Jimmy Fallon. He has also recently appeared on Comics Unleashed with Byron Allen, and Gotham Comedy Live on AXS. In 2009 he appeared on Comedy Central’s Live at Gotham. Andy has appeared at many comedy festivals and contests including, the Bridgetown Comedy Festival, The Maui Comedy Festival, Just For Laughs Comedy Festival in Montreal, and The Great American Comedy Festival. He has been featured on the nationally syndicated Bob and Tom radio show, and was a semi-­‐finalist in CMT’s “Next Big Comic”. 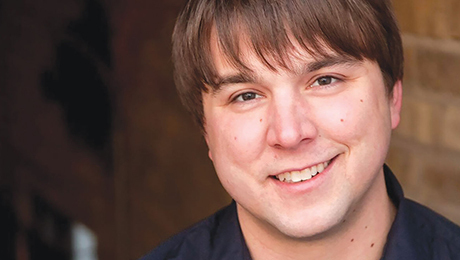 He won the Best of the Midwest Competition at Gilda’s Laugh Fest in 2010. His 2012 album release “Lucy” was named top 10 comedy albums of the year by comedyreviews.com. His newest release “Step Parenting” spent time in the top 20 comedy albums on itunes.